To maximize the value of chats, you can’t just copy your online survey. 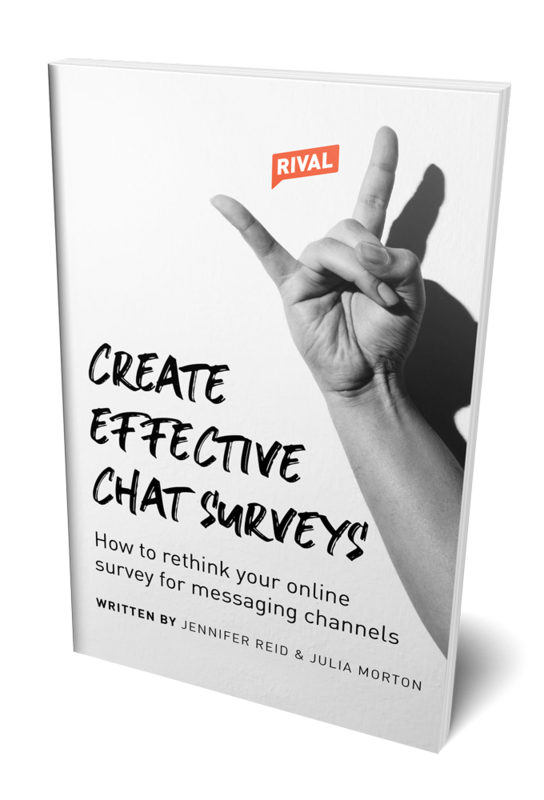 In this ebook, market research experts 👩👩 from Rival Technologies share the secrets to transforming your online surveys into chats that provide a better experience to research participants and deliver richer insights to your company. © 2018 Rival Technologies, Inc. A Reid Campbell Group Company.